I’m finding quickly that if I don’t heed the call for trail time then I’m going to end up suffering. A certain amount of refreshment is brought upon by a quick walk through nature; A lot more when you trudge through it. 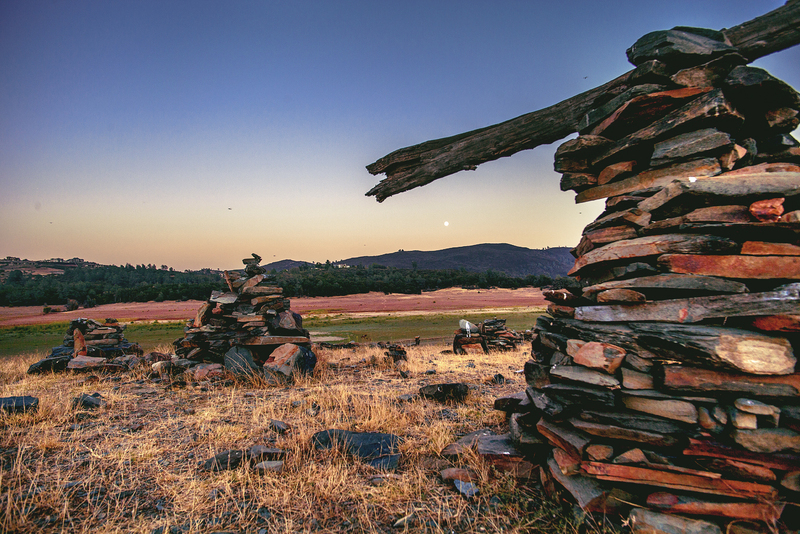 We found ourselves on a hot September evening walking amongst the low Folsom Lake, north by a few miles from the main body, near Salmon Falls Bridge. A local trail, nary a soul was on it. The night quickly chilled and crisp. Seeing the low water from a historic drought is never fun, though it did give us quick access to areas not normally searchable by foot, including a tiny cairn village. Interesting color in these beautiful images!